2014 000000002019-03-13-0000March 13 Staff Some recent hires at MIRI are announced. Among the new team members is Nate Soares, who would become MIRI's executive director in 2015. ↑ 130.0 130.1 "Potential Risks from Advanced Artificial Intelligence". Open Philanthropy Project. Retrieved July 7, 2017. ↑ 132.0 132.1 "Recent Hires at MIRI". 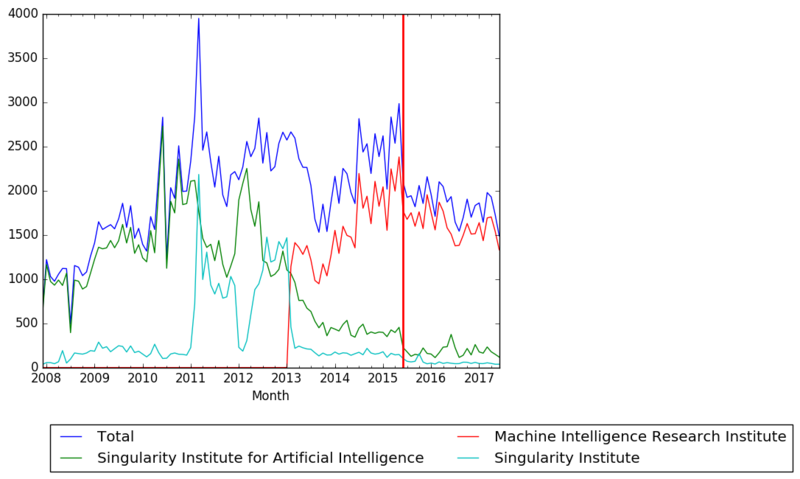 Machine Intelligence Research Institute. March 13, 2014. Retrieved July 13, 2017. ↑ 138.0 138.1 "Carl_Shulman comments on My Cause Selection: Michael Dickens". Effective Altruism Forum. September 17, 2015. Retrieved July 6, 2017.